Key benchmark indices logged modest gains in an intensely choppy session of trade. The barometer index, the S&P BSE Sensex, was up 122.88 points or 0.48% at 25,739.72, as per provisional closing data. The 50-unit CNX Nifty was up 47.60 points or 0.61% at 7,843.30, as per provisional closing data. The Sensex provisionally settled below the psychological 26,000 mark after hitting one week high above that level in mid-afternoon trade. Gains triggered by a steeper-than-expected rate cut by the Reserve Bank of India (RBI) after its fourth bi-monthly monetary policy review for the year 2015-16 today, 29 September 2015 helped domestic bourses outpace losses caused by weak global cues. • Realty stocks reversed intraday fall in volatile trade after the RBI surprised the financial markets by announcing a steeper-than-expected cut in repo rate by 50 basis points to 6.75% at its fourth bi-monthly monetary policy review for the year 2015-16 today, 29 September 2015. Purchases of both residential and commercial property are largely driven by finance. • Housing Development and Infrastructure (up 9.38%), DLF (up 3.83%), Indiabulls Real Estate (up 3.65%), D B Realty (up 3.27%), Unitech (up 1.48%), Sobha (up 3.84%), and Orbit Corporation (up 1.81%) gained. Godrej Properties (down 1.79%) and Oberoi Realty (down 2.33%) declined. • The Reserve Bank of India (RBI) surprised the financial markets by announcing a steeper-than-expected cut in the policy repo rate under the liquidity adjustment facility by 50 basis points to 6.75% at its fourth bi-monthly monetary policy review for the year 2015-16 today, 29 September 2015. The RBI has kept the cash reserve ratio (CRR) of scheduled banks unchanged at 4% of net demand and time liability (NDTL). The RBI marked down slightly the FY16 gross domestic product (GDP) growth target to 7.4% from 7.6% earlier as global growth and trade were slower than initial expectations, a continuing lack of appetite for new investment in the private sector, the constraint imposed by stressed assets on bank lending and waning business confidence. Inflation has dropped to a nine-month low in August, and despite the monsoon shortfall and the uneven distribution of seasonal rains, food inflation pressures have been contained by the government's supply-management policies, the RBI said. In overseas markets, European equities were hovering near 2015 lows and Asian stocks dropped to 3-1/2-year as global economy worries continue to batter risk assets. Taiwan's market was closed because of Typhoon Dujuan. South Korea's market was closed for holiday. US stocks settled yesterday, 28 September 2015 at their lowest levels since late August as concerns about slowing economic growth in China and mixed domestic economic data unnerved investors. 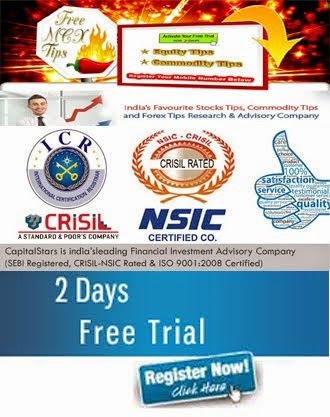  In today’s session we have seen call buying in 7800 and 7900 strike price, we may see 7900 as a strong resistance level in coming days.  HDFC 1300 and 1350 calls and puts were so active, we may see buying above 1250 level. 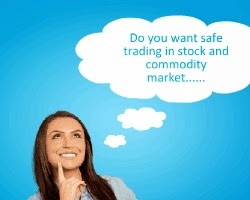  MARUTI 4800 calls were so active today, we may see more buying as remain above 4650. INDIAN BENCHMARKS are set to open higher today tracking a firm trend in markets across Asia. SGX Nifty is trading 40 points higher. Trend in FII flows: The FIIs were net sellers of Rs - 1112.59 Cr in the cash segment on Tuesday while the DIIs were net buyers of Rs 876.2 Cr, as per the provisional figures released by the NSE. INDIAN BENCHMARKS are likely to start the session on a negative note as the global cues look unsupportive with SGX Nifty trading 110 points lower. Trend in FII flows: The FIIs were net sellers of Rs - 650.01 Cr in the cash segment on Monday while the DIIs were net buyers of Rs 505.59 Cr, as per the provisional figures released by the NSE. RBI has decided to allow banks to upgrade the credit facilities extended to borrowing entities whose ownership has been changed outside SDR (strategic debt restructuring), to ‘Standard’ category upon such change in ownership, subject to certain conditions (eg the change in ownership is by way of sale by lenders to new promoters, the new promoters must have 51% stake and should not have any relation with exiting company etc). Shares of Dr Reddy’s Laboratories rallied 6% to Rs4222 on the NSE in an otherwise subdued market after the drug maker announced the launch of Esomeprazole Magnesium Delayed-release capsules, which is the generic version of AstraZeneca's Nexium®, in the US market. Government’s holding in IDBI Bank to be reduced to 49% -- sentimentally positive for IDBI bank. As per media reports, the government has firmed up plans to bring down its holding in IDBI Bank 49%, marking a big bang start to its commitment to reform state-run banks. IndusInd Bank Ltd has informed BSE that the Bank has, on September 21, 2015, granted 193,000 Options to 8 new joinees, as a part of pre-hiring negotiations. The Grant of Options is on the basis of receipt of necessary approvals, in accordance with the Securities and Exchange Board of India (Share Based Employee Benefits) Regulations, 2014 and the ESOP Scheme 2007 of the Bank. FDA cancels Sun Pharma Advance Research Company Ltd’s (SPARC) Seizure drug over compliance issues – Negative for Sun Pharma and SPARC. Shares of Sun Pharmaceutical Industries and Sun Pharma Advanced Research Company (SPARC) fell 3% each after the US Food and Drugs Administration ( USFDA) withdrew an approval granted in March to SPARC’s anti-epileptic drug due to regulatory compliance issues at Sun Pharma's Halol plant. Colgate Palmolive (India) Outcome of Stakeholders’ Relationship Committee Meeting - Increase in the paid-up Capital of the Company on account of Bonus Issue. Colgate Palmolive (India) Ltd has informed BSE that on July 30, 2015, the Board of Directors of the Company approved the Issue of Bonus Equity Shares. On September 11, 2015, the shareholders, through the Postal Ballot approved the resolution of issue of bonus shares in the ratio of 1:1 to the eligible shareholders of the Company. The crucial resistance for Nifty is now seen at 7895 and above this 7925. Support for the immediate term is now placed at 7775 and next support will be 7725. Amid a divergent trend among various index constituents, the barometer index, the S&P BSE Sensex, and the 50-unit CNX Nifty clocked small gains. The Sensex rose 40.51 points or 0.16% to settle at 25,863.50. The Nifty rose 22.55 points or 0.29% to settle at 7,868.50. IT stocks edged higher on weak rupee. Bank stocks ended on a mixed note after seeing intraday volatility. Metal and mining stocks also witnessed a mixed trend. Among index heavyweights, ITC and HDFC edged higher whereas L&T and Reliance Industries (RIL) edged lower. • Bank stocks were mixed. Among PSU banks, Allahabad Bank (down 2.3%), Indian Bank (down 2.22%), Corporation Bank (down 1.78%), Bank of Baroda (down 0.98%), Andhra Bank (down 0.81%), Bank of India (down 0.73%), Vijaya Bank (down 0.72%), Syndicate Bank (down 0.66%), UCO Bank (down 0.64%), Dena Bank (down 0.49%), State Bank of India (down 0.4%), Canara Bank (down 0.14%) and Union Bank of India (down 0.14%), edged lower. Punjab National Bank (up 0.11%), Bank of Maharashtra (up 0.29%), United Bank of India (up 0.45%), Central Bank of India (up 0.80%), IDBI Bank (up 1.09%) and Punjab and Sind Bank (up 2.04%), edged higher. • IT stocks edged higher on weak rupee. MindTree (up 4.26%), HCL Technologies (up 2.75%), Tech Mahindra (up 2.10%), Oracle Financial Services Software (up 1.94%), Wipro (up 1.80%), TCS (up 1.64%), CMC (up 1.29%) and MphasiS (up 0.28%), edged higher. Persistent Systems (down 1.07%) and Hexaware Technologies (down 1.58%), edged lower. A weak rupee boosts revenue of IT firms in rupee terms as the sector derives a lion's share of revenue from exports. • The Sensex and the Nifty edged higher for the second consecutive session. The Sensex has risen 211.66 points or 0.83% in the preceding two trading sessions from a recent low of 25,651.84 on 22 September 2015. The Sensex has lost 419.59 points or 1.6% in this month so far (till 24 September 2015). The Sensex has fallen 1,635.92 points or 5.95% in this calendar year so far (till 24 September 2015). From a 52-week low of 24,833.54 hit on 8 September 2015, the Sensex has risen 1,029.96 points or 4.15%. The Sensex is off 4,161.24 points or 13.86% from a record high of 30,024.74 hit on 4 March 2015. A monetary policy review from the Reserve Bank of India (RBI) is scheduled early next week. The RBI announces the fourth bi-monthly monetary policy review for the year 2015-16 on 29 September 2015. The RBI kept its benchmark lending rate viz. the repo rate unchanged at 7.25% after a monetary policy review on 4 August 2015. RBI Governor Dr. Raghuram G. Rajan had at that time indicated in his written monetary policy statement that going ahead RBI will monitor developments for emerging room for further reduction in the policy rate. The RBI has cut the repo rate by 75 basis points since January 2015. 1. In today’s session we have seen call buying in 7700 and 7800 strike price, we may see 7700 as a strong support level in coming days. Sell UPL as remain below 490 we may see 450/440 LEVELS, above 490 major resistance will be 545. 1. GAIL ABOVE….? TGT…..?STOP LOSS……? 3. SELL ONGC BELOW….? STOCK MAY SHOW 190/210 LEVEL IN COMING DAYS WITH STOP LOSS…?